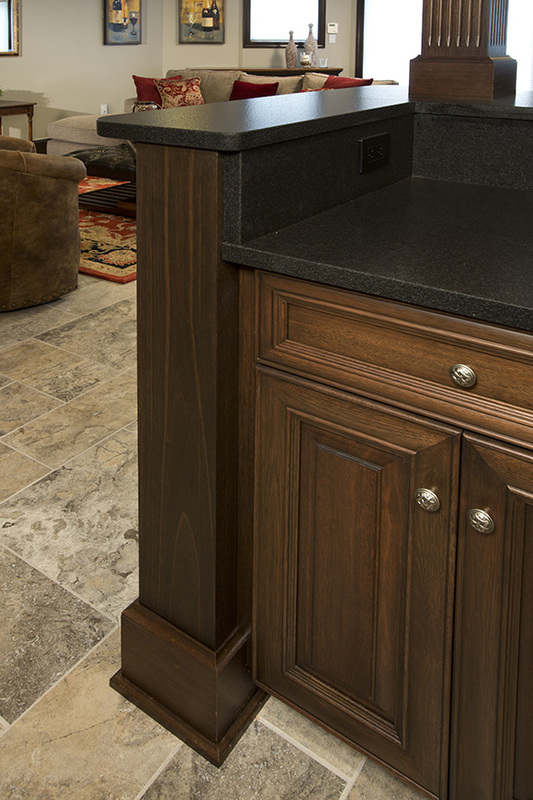 Dark wood makes a bold statement. 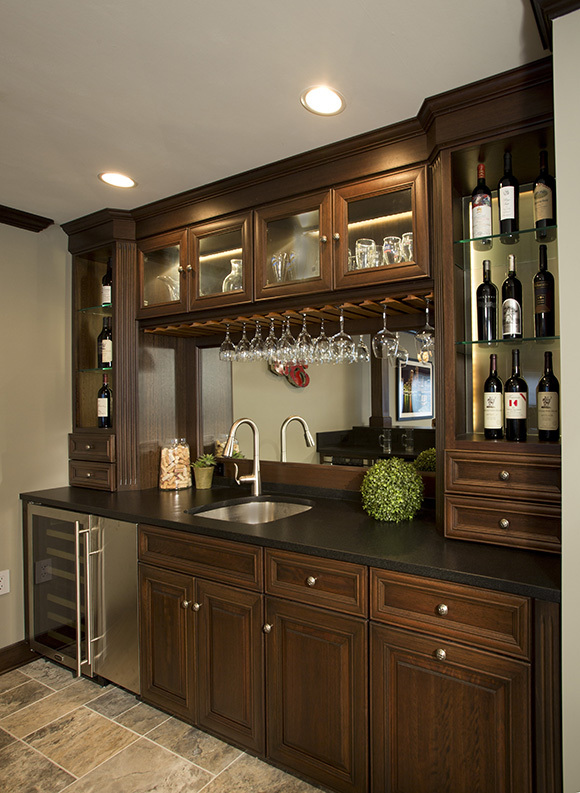 The fine-grained cherry wood of this cabinetry is stained dark mahogany to create more impact. 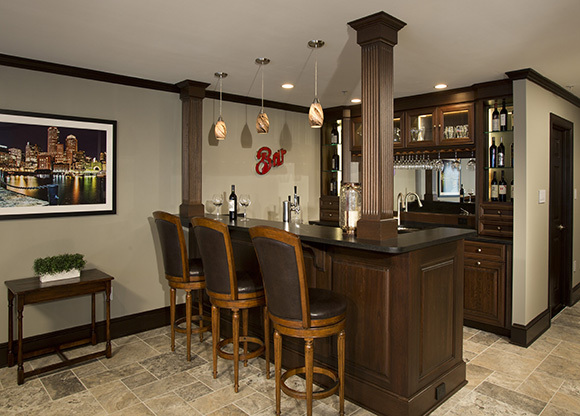 Notice the details in this beautiful bar: the returns on the molding, the columns, the backlit glass walls, the icemaker, the wine cooler, and even taps for cold draft beer.